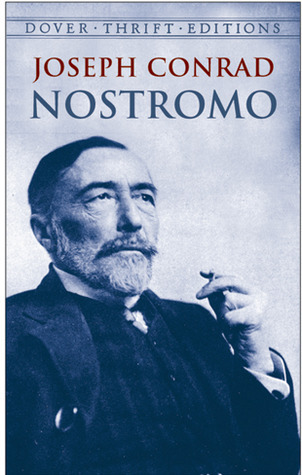 Joseph Conrad’s Nostromo – set in the 19th century, in a fictitious Latin American country called Costaguana – begins with an Author’s Note. Here, Conrad explains the “inspiration” behind the novel: a story that he heard when he was traveling in either the West Indies or the Gulf of Mexico (Conrad can’t remember which) in 1875 or 76, and an autobiographical volume that he found in a second-hand bookshop twenty-five years later. What gave Conrad the confidence to invent an entire nation, complete with history, society, and conflict, set in the middle of a very real part of the world, on the basis of such … thin material? After the work of Edward Said, we now know that the power exercised by European nations at the height of the era of Empire translated into presumptions of knowledge. Nostromo was simply one strand in a web of discursive practices that constructed the non-Western world in a certain way, the basis of which was invariably an unarticulated set of stereotypes, prejudices, and assumptions. 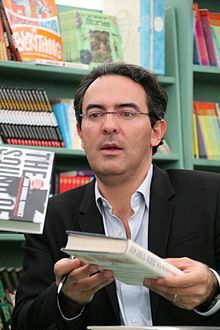 In the Author’s Note, Conrad then went on to employ a more familiar trope: he invented a fictional book called “A History of Fifty Years of Misrule”, written by a fictional person called Don Jose Avellanos, and noted that “that work was never published–the reader will discover why–and I am in fact the only person in the world possessed of its contents.” Here, then, you have that disarming disclaimer: it is not Conrad who is the author of the story, it is a “local source.” Conrad is merely the transcriber. As noted above, this trope is a familiar one, and it performs a function – to use a word that whose meaning will become clearer later on – of “refraction.” On the one hand, it asks us to suspend belief and assume narrative authenticity, by telling us that the actual story belongs to a “native.” At the same time, it gives that actual writer – in this case, Conrad – a fiction of authority, by ascribing to him the role of detached editor rather than involved author. Through this device, we are then expected to take the events described at face value, rather than through the double-distorted lens of foreign eyes. All this, of course, operates within the realm of fiction, but – as Said explained in Culture and Imperialism – European fiction is inextricably linked with the practices of Imperial rule (not least in implicitly legitimising it), and Conrad’s own position on the subject is ambivalent (as The Heart of Darkness demonstrates most starkly). 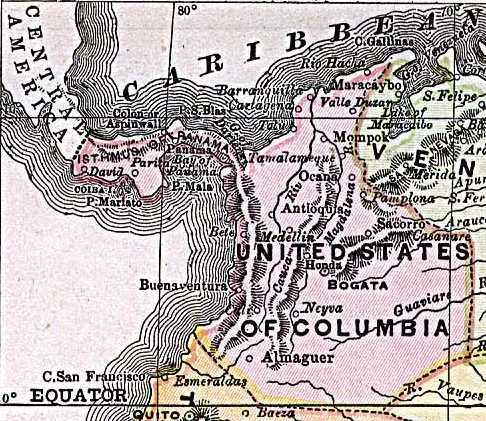 Nostromo, at its heart, involves an asymmetrical assumption of authority: authority assumed by Conrad to tell the story of a tumultuous Latin American nation, that could be a stand-in for any one of the countries of the region, and based upon a second assumption – that his subjects cannot write back. It is that second assumption that is challenged by Juan Gabriel Vasquez in The Secret History of Costaguana. Its central premise will remind readers of Kamel Daoud’s The Meursault Investigation, once described as “a rebuke to Albert Camus’ The Outsider.” The Meursault Investigation rewrites the story of The Outsider from the perspective of the brother of the nameless Arab that Meursault shoots towards the end of the novel. 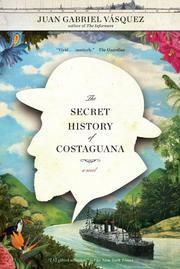 In The Secret History of Costaguana, we are informed that “Costaguana” is actually Colombia, and that Joseph Conrad – struggling with writers’ block and financial troubles – “stole” the story after conducting detailed interviews with Jose Altamirano, who had fled from Colombia during the tumultuous secession and birth pangs of Panama. Altamirano – the first-person narrator – is now determined to “write himself back into history.” The Secret History of Costaguana is Latin America’s answer to the Imperial conceit of Nostromo, like The Meursault Investigation is Algeria’s answer to the colonial arrogance of The Outsider. At one level, of course, this is a simple – albeit effective – reminder that “fake news” was around long before the era of Donald Trump, and deployed by the “liberal” West for its own, cynical purposes. But I think that Vasquez operates at at least two further levels here. The first is a writing-back to Conrad (and Conrad’s ilk). Descriptions that “touch on objective reality at certain select points” (and it is worthwhile to remember, for the analogy that follows immediately afterwards, that Conrad was a seaman himself), and help “found … a utopia simply by arming [oneself] with good rhetoric” are accurate accounts of precisely what Orientalist writers were doing. Let’s clear this up once and for all: it’s not that my father wrote lies. Surprised and at the same time full of admiration, over the first few months of life with my father I began to notice the strange illness that a few years back had begun to guide his perception and, therefore, his pen. Panamanian reality entered his eyes as if from a stick for measuring water depth from the shore: it folded, it bent, folded at the beginning and bent afterward, or vice versa. The phenomenon is called “refraction”, as more competent people have told me. Well then, my father’s pen was the largest refractive lens of the Sovereign State of Panama; only the fact that Panama was in itself a place so prone to refraction can explain why nobody, I mean nobody, seemed to notice. At first I thought, as any respectful son would, that the fault was mine, that I had inherited the worst of distortions: my mother’s cynicism. But I soon accepted the obvious. I want to forget this absurd rhetoric of Latin America as a magical or marvelous continent. In my novel there is a disproportionate reality, but that which is disproportionate in it is the violence and cruelty of our history and of our politics. Let me be clear about this. . . . I can say that reading ‘One Hundred Years of Solitude’ . . . in my adolescence may have contributed much to my literary calling, but I believe that magic realism is the least interesting part of this novel. I suggest reading ‘One Hundred Years’ as a distorted version of Colombian history. It is surely no coincidence that the word “distortion” occurs both in Jose’s description of his father’s literary project, and Vasquez’s description of One Hundred Years of Solitude. As the novel progresses, Miguel’s narrative begins to fall apart like a house of cards; and it is difficult not to see how, at an intertextual level, The Secret History of Costaguana tells us that magical realism is an insufficient – and maybe even dishonest – way to tell the Latin American story. Perhaps the closest analogy that I can think of from the region is Mario Vargas Llosa’s The War at the End of the World. The difference is, however, that in its choice of setting, Llosa’s novel still feels at a distance. The Secret History of Costaguana – in dealing with the timeless theme of imperialism – resonates; and nowhere more than towards the end, where the Americans’ cynical support of the Panamanian uprising in order to secure their interests in the Panama Canal reminds one of a century’s worth of similar interventions, continuing to this day. I’ve just finished reading Robert Harris’ Imperium, which is the first book of his Cicero Trilogy. Cicero has always been a figure of fascination for me, ever since I read Julius Caesar – and more recently, and concretely, as a republican and a lawyer. Imperium charts his career from his first forays into public life as a ‘new man’ (i.e., a non-aristocrat), armed with nothing but his oratory and forensic skill in the law courts of the Republic. Through the eyes and narrative voice of his slave-secretary, Tiro (who also invented the shorthand), it follows him as he negotiates alliances and enmities with the powerful men of Rome – Pompey, Crassus, Hortensius, and other aristocratic members of the Senate – in his attempt to attain his goal of becoming Consul, the highest public office in Rome. I have very little by way of substantive commentary about this book, apart from saying that Harris does an outstanding job of bringing Republican Rome to life, with all its colour, life, movement, and horrors. The book moves at the pace of a thriller (I stayed up till 2 AM to finish half of it, and then read the rest of it in a flight, a taxi, and a cafe, the next day). Its descriptions of the raucous public elections and of the cut-and-thrust of legal battle (it features the famous historical event of Cicero’s prosecution of Verres, which is often the opening chapter in compilations of Cicero’s speeches) is gripping and entertaining. Tiro’s narrative voice – engaged, sympathetic, humorous, but also unsparing, is perfect for the role. And despite the seriousness of the underlying theme – the tragedy of how idealism is undermined by the necessity of political compromise, to the point at which power becomes an end in itself, and idealism is reduced to a veneer – the book never allows itself to be bogged down by its own gravitas. I’m waiting eagerly to buy and read the next two instalments. Much recommended. Not to mention, the descriptions of the courtroom battles will be of special interest to lawyers!